Dr. Giridhari Lal Kaul joined Assam Agricultural University, Jorhat as Vice-Chancellor on March 25, 2000 and remained in the office till April 5, 2004. 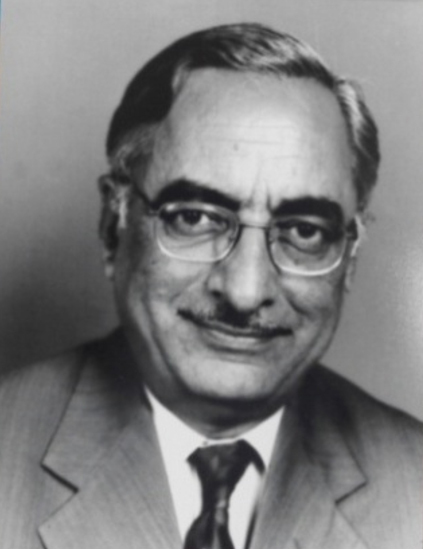 Born on April 6, 1939, Dr. Kaul graduated from Andhra University, Waltair in 1958 and obtained his Master’s degree from Punjab University (1963) and Ph.D. degree from Indian Agricultural Research Institute, New Delhi (1967). A well known Horticulturist of repute Dr. Kaul began his professional career as a Research Associate under USAID – Improvement Programme, Delhi. He then served G.B. Pant University of Agriculture & Technology, Pantnagar as Assistant Professor, Associate Professor (Horticulture) and Associate Director, Horticultural Research Centre. Intelligence, Perfection, dedication and commitment to his work were the great qualities of Dr. Kaul, which pushed him from one step to the next in the ladder of his service career. He left Pantnagar and took over the charge of Adviser, Horticulture, NEC, Ministry of Home Affairs, Govt. of India, Shillong; ADG (Horticulture) and ADG (Planning & Monitoring), ICAR, New Delhi; Commissioner, Horticulture. Ministry of Agriculture, Govt. of India, New Delhi and O.S.D., NATP, Indian Council of Agricultural Research, New Delhi before joining AAU. During his rising service career, Dr. Kaul was honoured with the membership of many academic/ Professional bodies. He was Patron of All India Kitchen Garden Society, New Delhi; a life member of Horticulture Society of India, Bougainvillea Society, New Delhi, Assam Science Society, Guwahati, Assam Horticultural Society, Guwahati; Regional Secretary, South Asian Region, International Society of Horticultural Science, The Hague; a member of Mushroom Society of India, Solan (Himachal Pradesh); Executive Committee (All India Food Preserver’s Association, New Delhi). Dr. Kaul authored four books, three bulletins, nineteen reports and fifty-six research papers. He has travelled extensively to countries like the USA, Germany, France, Indonesia, Thailand, China, Japan, Saudi Arabia, Egypt, Sudan, Australia, New Zealand, Sri Lanka, Bhutan and several African countries on various assignments for international cooperation. "Agriculture is the backbone of the livelihood security system of nearly 700 million people in the country and we need to build our food security on the foundation of home grown food."